Upper body training and off the bike strength training in cycling may be seen amongst a lot of cyclists as an unnecessary aspect to include in their training programme. 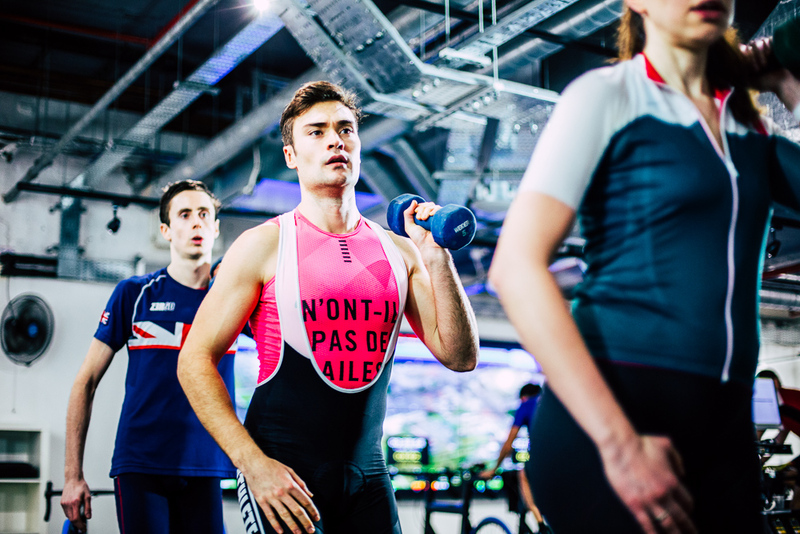 Some cyclists may feel it is more beneficial training on the bike and not spending that valuable time training off the bike or incorporating any upper body training into their programme. Legs are recognised as the main driving muscles within cyclists, but we need to take into account factors such as posture and stability. Your core! A stronger core will allow you to utilise the power within your legs and use it to greater extent. In addition to this, a stronger core can be a key to reducing the risk of injury. By incorporating the likes of back and shoulder strength training into your program you will not only improve your bike handling, but posture will be improved also. This can delay the onset of problems in later life, such as back pain and issues with flexibility and mobility. An increase in strength training can also increase the accessibility of fast twitch muscle fibres which is essential for sprinting, where both high power and leg speed are required. By incorporating plyometrics within your off the bike training, alongside high cadence leg work, strength and power, off the bike can be turned into acceleration on the bike. Strength training unlike on the bike training will involve high and low weight bearing properties, which can help maintain and increase bone density, therefore reducing the risk of problems such as Osteoporosis. Strength and upper body training can, therefore, have an array of benefits, whether it be cycling performance related to handling and control, increased power, or health benefits relating to improved posture and bone health.